Square pinecone copper sink is15″wide x 8″deep. 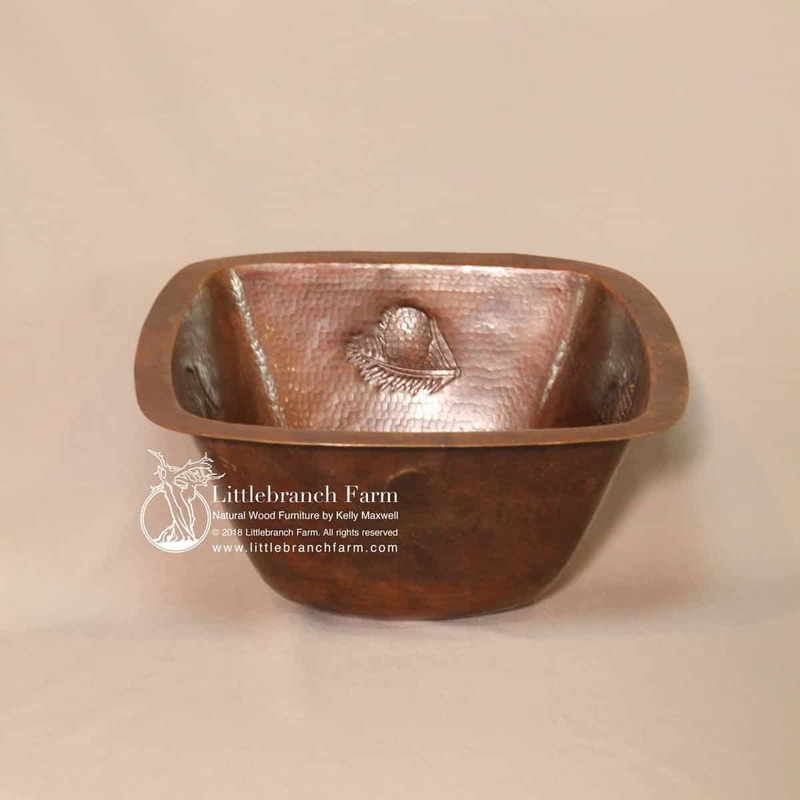 Square pinecone copper sink design is perfect as a top mount or under mount sink. 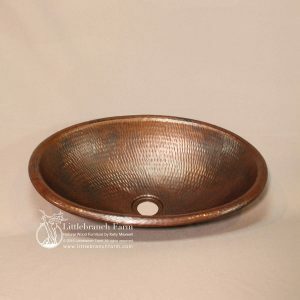 The natural patina along with the artistic pine cone design makes this a great bar sink or bathroom sink. Also, care and cleaning is easy, simply use soap and water. 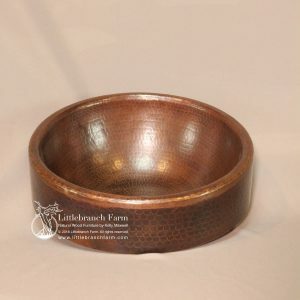 If damage happens to the patina repairs are easy. 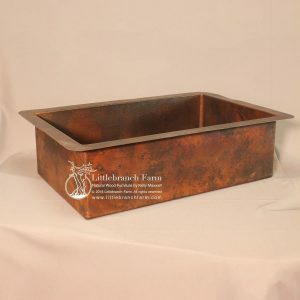 Whether the application is a rustic bar featuring a live edge bar top or a rustic vanity a hammered copper sink is a must. 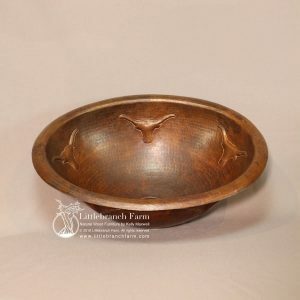 Along with hammered copper, sinks we also design and build natural wood furniture using ethically sourced live edge wood.